I started shooting dope at fourteen, I'm now 42 and am struggling with suboxone. I'm afraid to kick it, I have detoxed off everything else but subs. If I came off of suboxone and stayed clean it would be great. P.S. Has anyone else done it and can you tell how bad the detox was? Please write to me and tell me about it. It sounds like you have come a long way and are almost past all of your addictions. Suboxone is somewhat harder to get off of than other opiates and tends to have a long withdrawal period. But it is still an opiate so it is critical that you learn to stop using it. Otherwise when you hit a bump in the road you may start using other opiates to medicate your "pain". Suboxone is not different from any other drug but you can not get off it it by yourself, you need a lot of help and support. Getting off of Suboxone is important because than you'll be able to live a happy joyous and free life. Everyone I know who has successfully kicked the use of any opiate has gone through a 12 step program. 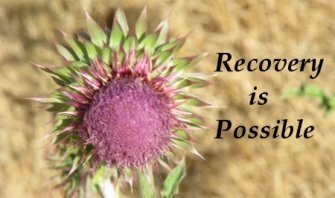 AA, NA, CA or Celebrate Recovery are all excellent options for you and you need to do 90 meetings in 90 days. Go EVERY day to meetings and you'll overcome the fear that is preventing you from moving past your Suboxone abuse. You can do it but only if you stop making excuses why you can't do the 12 step program. You need a spiritual connection and transformation to stop using and going to meetings will show you that process.